There are very few things in life anymore which are free, or which cost so little as laughter. When you consider the time and effort it actually takes to smile, it is almost instant. It takes no equipment, no special place you have to go to, and no personnel to assist you. And yet the benefits are enormous. In a world where the cost of just about everything is inflating, it is worth our consideration to incorporate more laughter into our lives. Recent research indicates that laughter has therapeutic health benefits. The very act of laughing, the physical act itself, allows for oxygen to be added into our bloodstream. 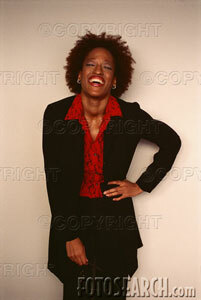 Laughter provides a workout for our facial muscles. It provides an aerobic exercise for our lungs and heart. There is evidence that laughing stimulates the production of endorphin into our brains, giving the individual a naturally occurring, healthy "high. Although long-distance runners and other athletes achieve the same endorphin effect, laughing involves much less movement by the participant. Not only is your mood elevated, but your incidence and frequency of depression goes down. A happy person generally is a healthier person all around. With the cost of health care and health insurance increasing annually for those that can afford it, something as simple as laughter can drastically increase your personal expenditure at the same time you increase your life expectancy. Laughter has been linked to lower incidences of high blood pressure. This information is particularly important for African-Americans, especially men, since we suffer from a higher incidence of high blood pressure and related illnesses of stroke and cardiovascular problems including heart attack. Perhaps if we found ways to incorporate more humor and laughter into our lives, not only might our personal relationships with each other improve, but so might our overall health. It is interesting to consider that historically, our race has produced some of the most gifted comedians and humorists this country has ever known. As a people we have always had an oral tradition of storytelling and fables that are filled with humorous anecdotes. Humor has a natural behavior for us as a group. Almost every Black family has a comedian or two in it’s midst. They entertain for free at barbeques and picnics, wedding and funerals, nightclubs and restaurants, at bus stops and sometimes just walking down the street. We say, "he or she is acting the fool" and we mean this as a term of endearment. But like everything else in this modern world, we sometimes "throw out the baby with the bath water" as we adapt to the "lean and mean" 21st century way of life. We’ve simply got to find a way to reclaim some of the "old school" ways of doing things if they add value and years to our life. Learning to laugh again is worth the time of rediscovery. You might ask, "how do you learn to laugh " or "is there a specific technique that has to be mastered?" Of course laughing is most times an involuntary response to something that:" tickles our funny bone." The problem with modern life is that there may not be enough natural occurrences or situations anymore which we judge as being funny. So what is one to do? Well as the saying goes, "when life throws lemons at you, make lemonade." Many times you have to allow yourself the mindset to see laughter in areas our lives that we hadn’t previously considered. You can consciously expose yourself to comedy and humor wherever it exists in media. There are plenty of situation comedies on television and in movies. There are comedy recordings you can buy and there are comedy clubs you can go to. Or you can become more receptive to humor in people around you, in the funny things they say and do, as long as you are laughing with the and not at them. You can make a point to surround yourself with friends and family who have an upbeat personality and who laugh easily. You see laughter is also contagious. Chances are the more you are exposed to it, the more it will become a part of your behavior. Some people may say that, in the current state of affairs for Black America, there is not much to laugh about. I disagree because as bad as things may be they could always be worse. One form of humor is to look at a bad situation and to exaggerate the situation in your mind until it becomes absurdly funny. In other words you can either moan and groan about getting older and your body is falling apart and not having enough savings for old age and not having many friends anymore and your children are grown and moved away and neglect you, etc, etc. Or you can laugh about it and say something like" if I knew I was going to live this long I would have taken better care of myself." Or you can think "things could be worse, I could be dead or growing old in a prison or worse. I still have my mind and my sense of humor and that is more than enough." When we teach are children to laugh and see the light side of every situation, we equip them to survive and to be resilient in an ever changing and challenging world. We show them the creativity of a mature mind and depth of good moral character when we show them how to "relax and release" through humor. That is not a bad legacy to pass on to succeeding generations.